One of the best things about having a garden is the excitement of getting to eat the food from it. 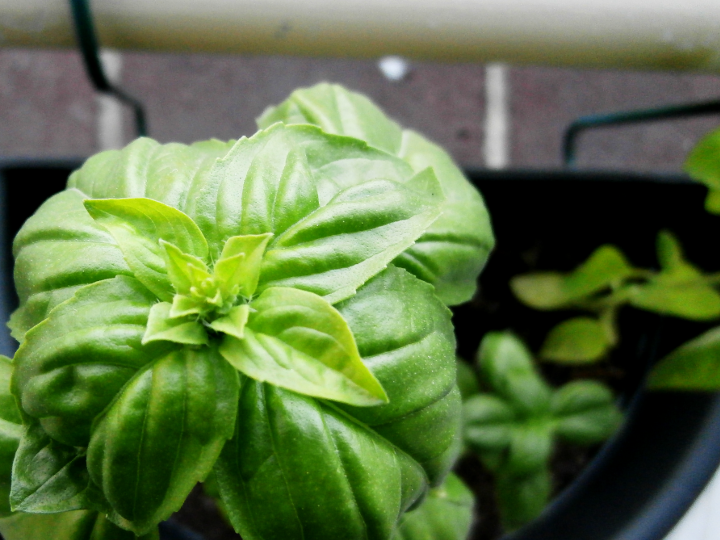 So the other day I picked a whole lot of basil and made a super delicious salad. The only real preparation I did (other than cutting up all the things) was to mash up the big basil leaves with olive oil and a little bit of salt. For seasoning I just used olive oil and balsamic vinegar. 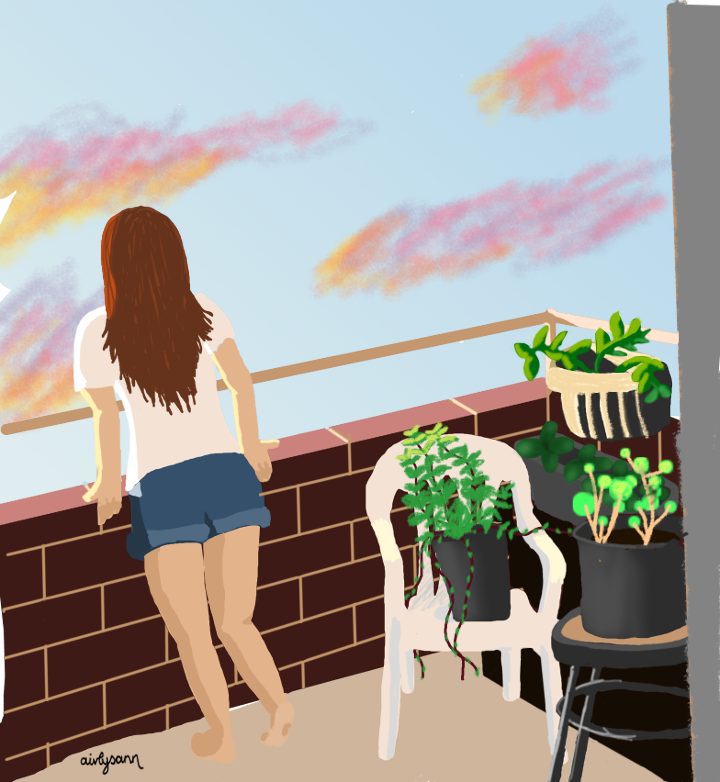 Also, here’s a picture I made of my balcony today. So I know I planned to do a book of the month type deal on here. But that was after January when I read tons of books. And then in the following months my reading pace slowed as I discovered art and found myself trying to write up a thesis. It is a huge non-fiction collection of lyrics and anecdotes and I loved it. It took up all my free time for three days. Here are some things I learned about: Australian history, modern Australian music, Aboriginal cultures, Italian art, and Catholicism. The stories snuck into my thoughts and have been popping up regularly ever since. Paul Kelly is one of my favourite musicians/songwriters and the book felt like a monstrous extension of that. The point is that the guy knows how to tell stories and now I know he can do it in prose form too. The above song is one of my favourites and the title song of the book. Other songs I highly recommend are: Careless, Dumb Things and From St Kilda to Kings Cross.